This week the focus light shines on who I consider my favorite brewery, or at least the one I fanboy the most. 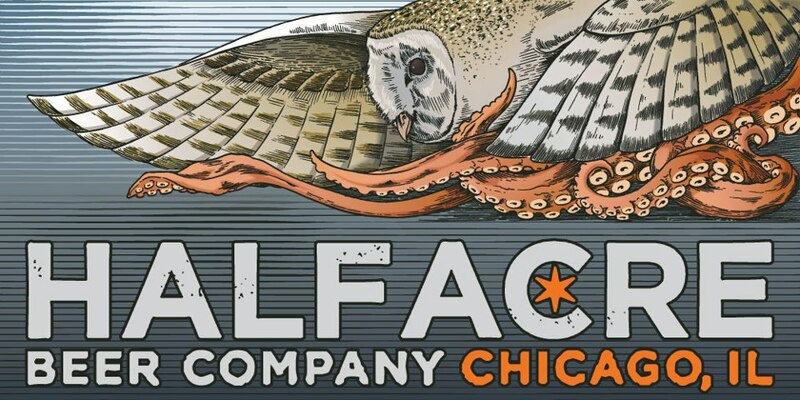 The great neighborhood of North Center houses Half Acre Beer Company, who recently surpassed their five year milestone and are gearing up to celebrate it. 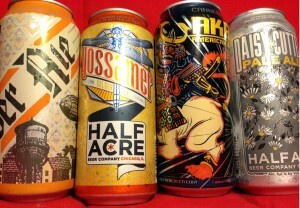 In recent weeks, Half Acre added two seasonal beers to their can lineup: the brand new Pony Pilsner and last summer’s hit Akari Shogun, an American wheat ale. 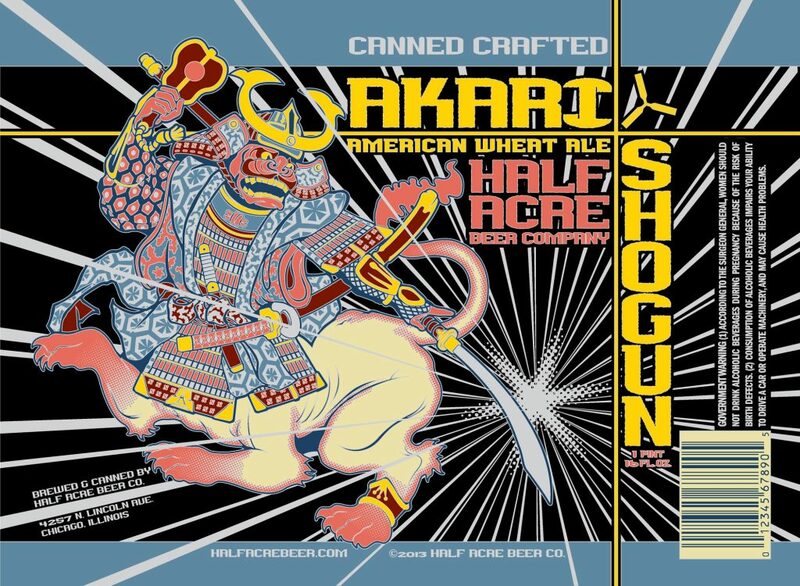 The first remarkable thing noticed on Akari Shogun is the artwork, another knockout from Half Acre-commisioned artist Phineas Jones. I’d definitely consider these the best looking cans out there. In the glass Akari Shogun pours a hazy pale straw hue topped with a moderately retained fluffy white head. The nose carries elegant floral tones blossoming into a fruit salad arrangement of tangerine, apricot and peach while also boasting a sweet candied bubblegum. Seductive wheat sweetness and lemon citrus brightly tease the palate while tamed by assertive hop bitterness. Grass and rose petal sensations delicately join lemon and mango juiciness throughout the taste. The mildly lasting finish is semi-dry and allows the wheat notes to shine; refreshing and delicate enough on the palate to make this a perfect warm weather beverage. Cans are the perfect beer vessels for outdoor activities and locations, such as sporting games, backyard barbeques and beaches. Daisy Cutter and Gossamer have been perfect companions the past couple summers, and now new siblings join in on the fun. 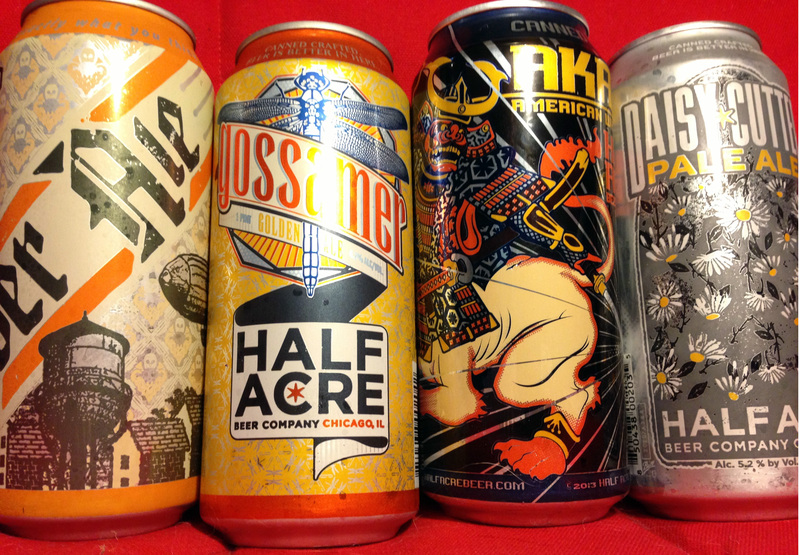 I love seeing new cans from Half Acre and hope to see new seasonals canned in the future. For now, Akari Shogun and Pony will help make this summer a blast. 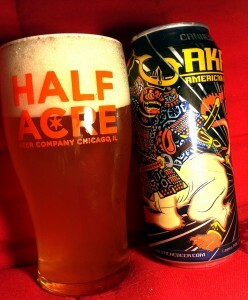 akari shogun, beer, beer cans, canned beer, Chicago, chicago beer, craft beer, craft cans, Half Acre, wheat ale. Bookmark.